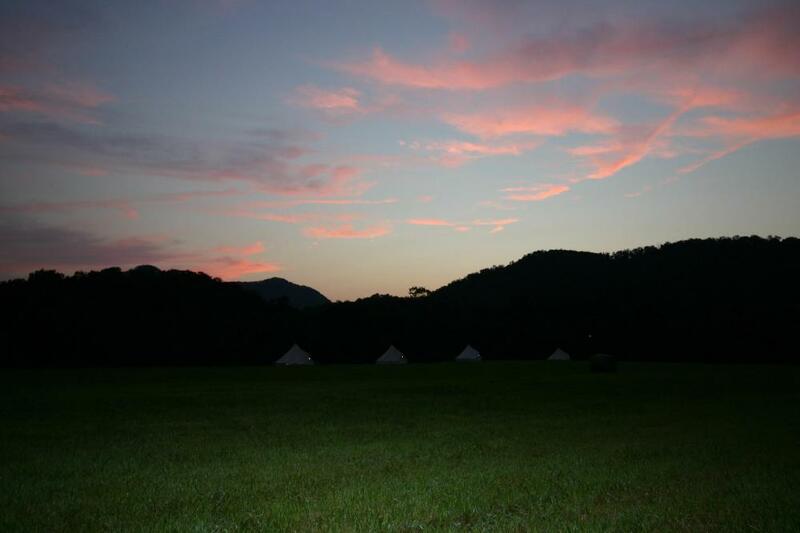 Nestled between the French Broad River and the Pisgah National Forest, Paint Rock Farm Glamping Retreat encompasses 162 beautiful acres perfect for glamping and adventure. Wide open meadows create magical stargazing opportunities and the surrounding forests and conservation areas boast hiking trails, wildlife, and spectacular wildflowers. Pets are welcome and the retreat is a fantastic destination for families, couples, friends, and individuals. 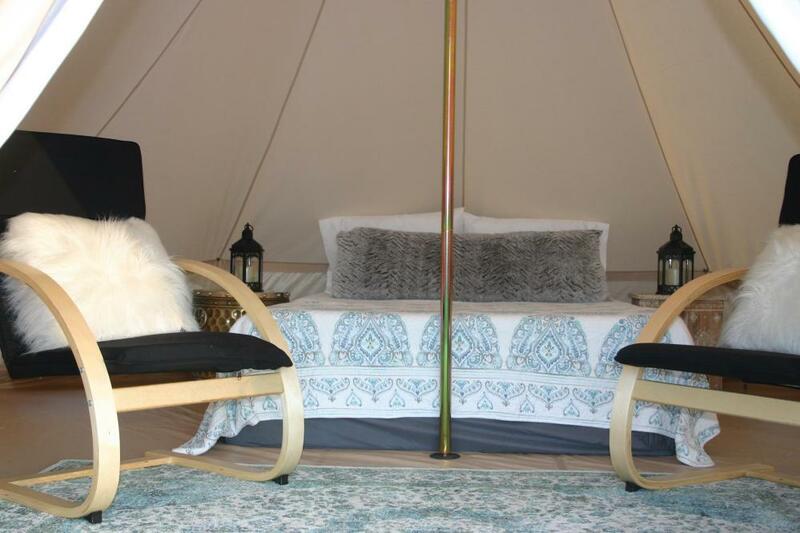 Five gorgeous glamping sites offer Bell Tents, memory foam queen mattresses, bedside tables with lanterns, and two cozy chairs for ultimate comfort in the great outdoors. All glamping sites include a picnic table and fire pit for relaxing and enjoying the breathtaking views. If you’re looking for a more rustic experience, Paint Rock Farm also offers five traditional tent sites. These spacious grassy sites are perfect for families and groups. All guests can enjoy ping pong, games, and darts in the restored Madison County Barn and soak in the lovely views of the French Broad River from the covered deck. Campers can savor a hot shower at the new bathhouse, and if you’re looking for the ultimate getaway, ask about the deluxe glamping package. Regardless of whether you’re looking for adventure or relaxation, you will find it near the historic town of Hot Springs. Luxuriate in natural mineral hot springs and feel your stress float away, or explore the surrounding mountains and forests on the Appalachian Trail. The French Broad River is ideal for whitewater enthusiasts, and the Pisgah National Forest offers waterfalls, hundreds of miles of trails for hiking and mountain biking, and some of the most spectacular views around. Popular destinations you don’t want to miss are Lovers Leap, Max Patch, and Rich Mountain Lookout Fire Tower. And don’t forget to relish in the jaw dropping scenery along the Blue Ridge Parkway and the Appalachian Medley Scenic Byway. 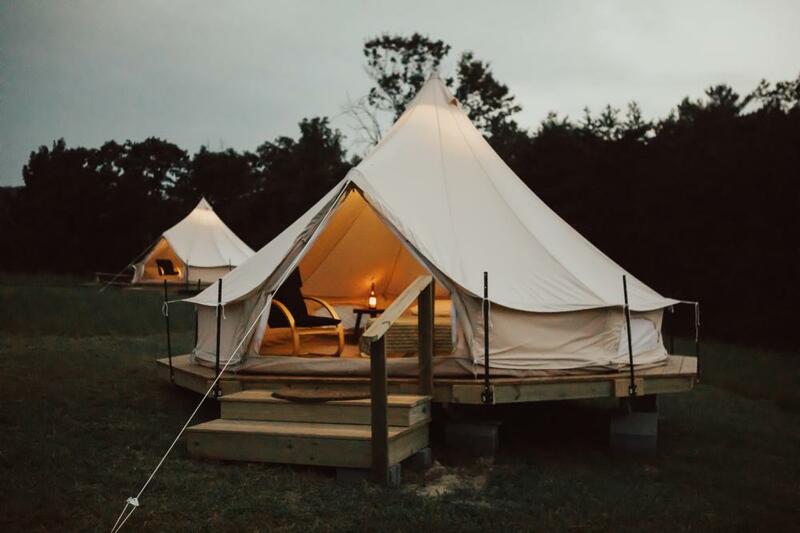 Paint Rock Farm Glamping Retreat offers luxurious glamping accommodations, rustic tent sites, and top-notch outdoor adventure. 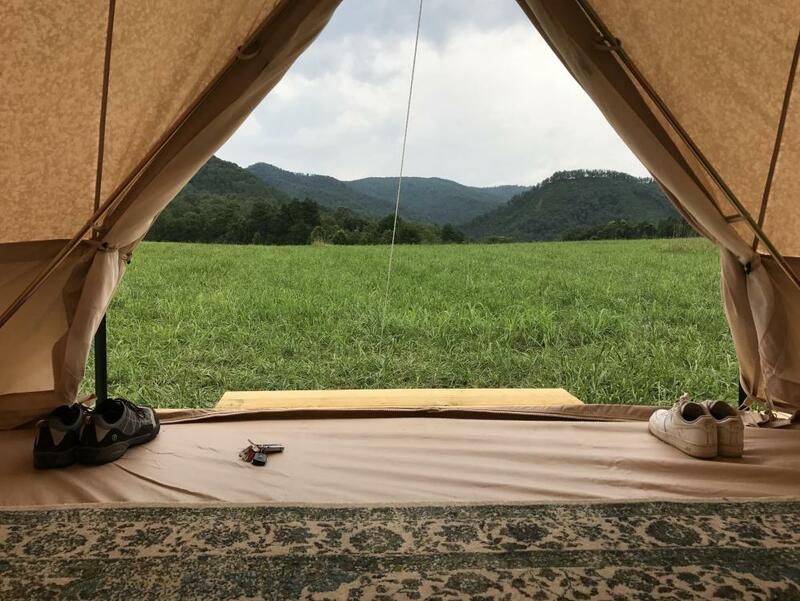 Whether you’re visiting Hot Springs for the actual hot springs, or you’re planning to explore the Appalachian Trail, Paint Rock Farm is the perfect place to call home on your glamping getaway. Book your stay today on Camp Native!